The books are all in Near Fine condition. Houghton Mifflin , 1962/1962/1961 First Editions, 12th/9th/7th impressions. 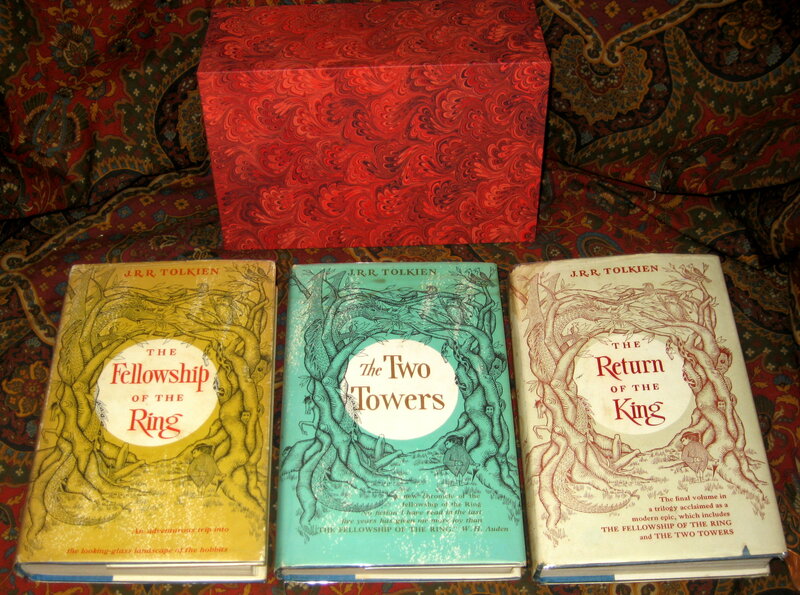 A very nice looking set of this classic of fantasy literature. 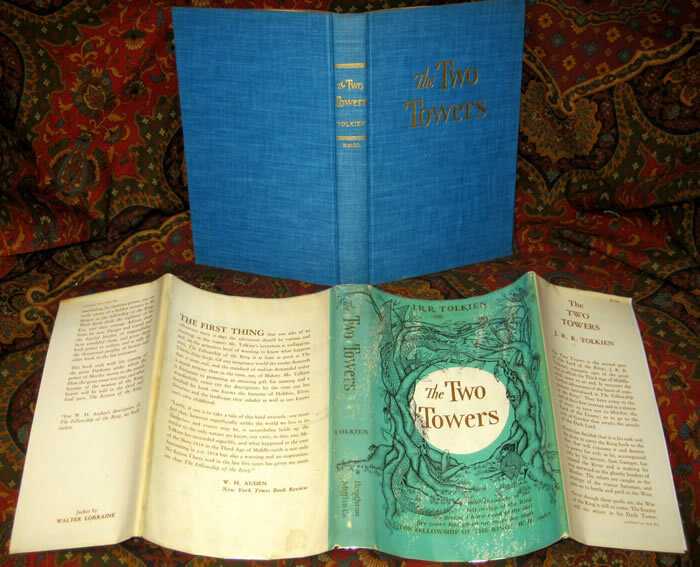 The books are all in Very Good Plus condition. 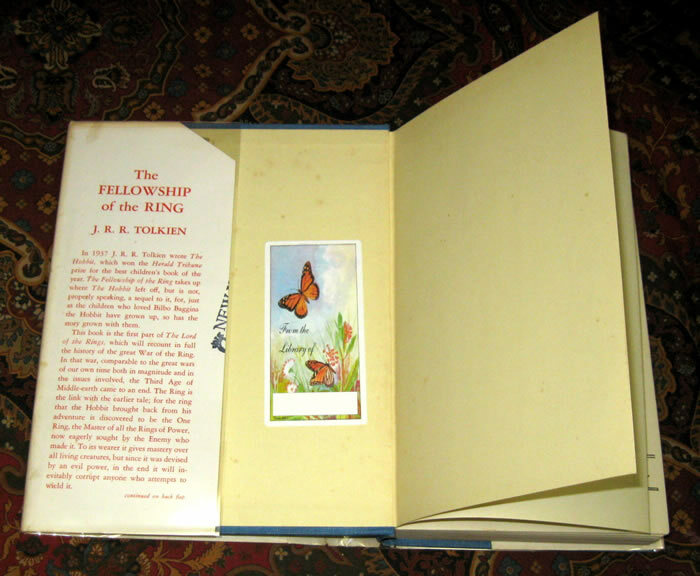 A previous owners name stamp in the Two Towers, a bookplate under the front flap of the Fellowship. No other writing or foxing in any of the books. 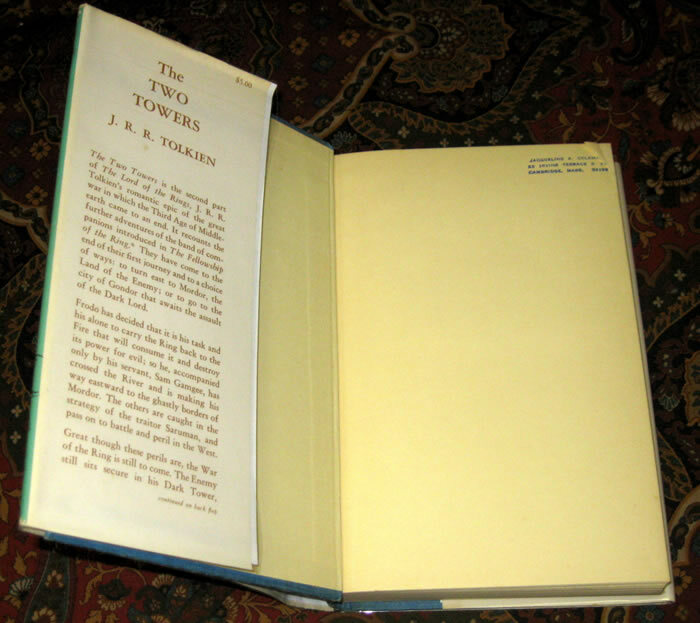 The dustjackets show only the lightest wear to the edges, with a moderate amount of soiling and staining to the Return dustjacket with a few more chips and loss to the edges. 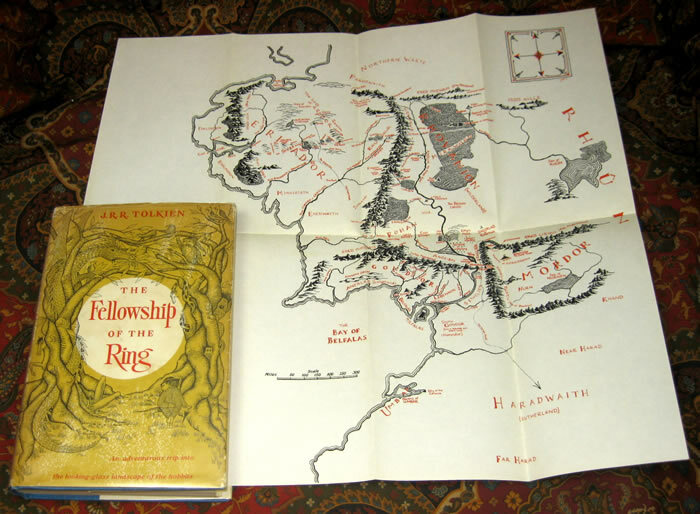 The spine shows a light amount of the tanning on the Fellowship of the Ring. 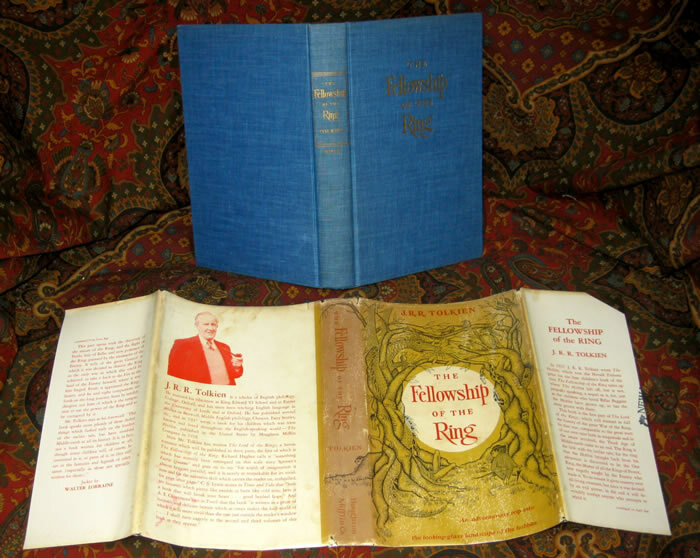 Only the Fellowship dustjacket is price clipped, and it also has the edge of a stamp mark along the inner edge of front flap. 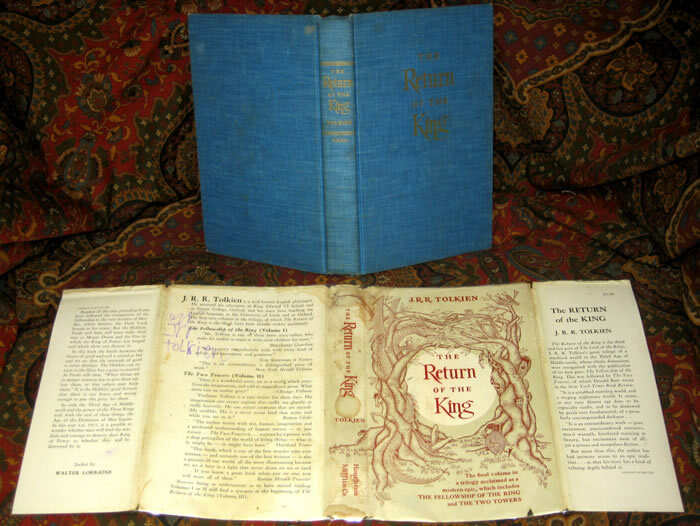 The Return dusjtacket has a childs writing of 'JRR Tolkien' in felt tip pen on the back. 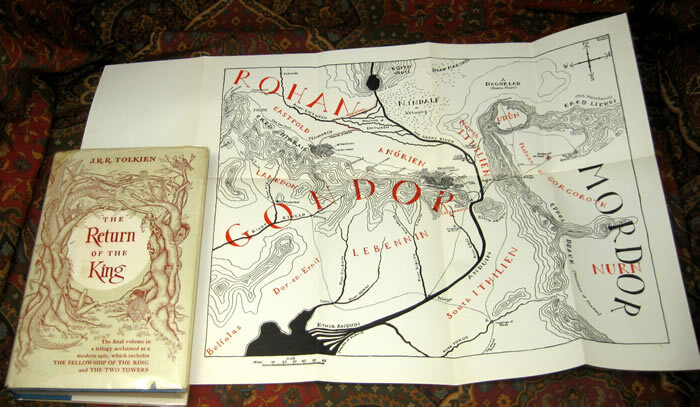 The set is housed in a custom hand marbled paper slipcase to show and protect. 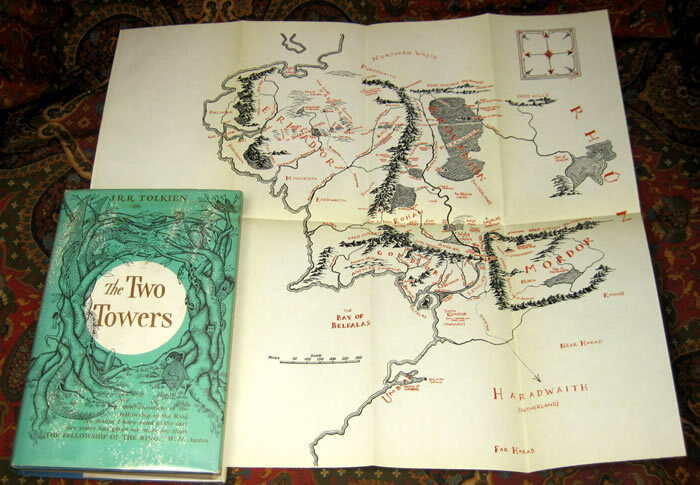 Original maps are attached at the rear, in Fine condition, no additional folds or tears noted.